​ Please assist A Single Hand Foundation (ASHF), RBOC and RESTORED with providing children in our community with a great start to the new 2016-2017 school year. By donating school supplies, together, we can give students the supplies that they need to succeed! 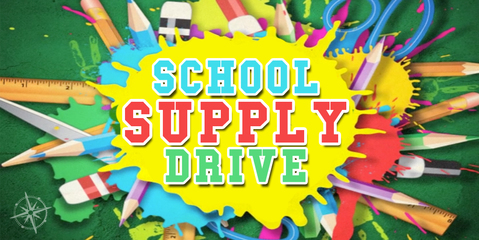 The School Supply Drive runs June 1 - July 31, 2016. To nominate a school and/or a teacher that is in need of school supplies, please click "Nominate Now", listed below. All nominations are due by June 30, 2016. Purchase Items Online: Amazon Wish List (click here)! Monetary Donations: Please click, "Donate Now", listed below. All donation are used to purchase needed school supplies. To become a Collection Site, please click "Sign Up", listed below. ﻿﻿﻿Nominations close June 30, 2016.